If you had to determine a national drink for Spain, no doubt it would be Spanish wines. Spending a warm summer night drinking wine and eating tapas in a square is one of the most typical pictures of life in Spain. Used for cooking, drinking and even to throw over people (like the wine festivities in Jumilla), wine is ever present in the Spanish day to day, and occupies an important part of the country's production and exportation. 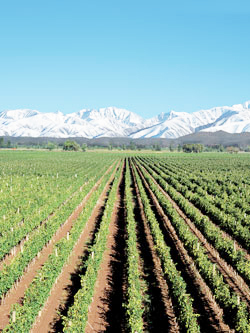 Spain's unique geography and situation are responsible for the wide range of climates available throughout the country which give rise to a large number of different grape varieties which can be cultivated there. Vineyards stretch from the green, rolling hills of the north to the arid expanses of the south, and all the differences between them, from weather to the richness of the soil and the water, are what makes Spanish wines so special and unique. The influence of the Cantabric Sea, Atlantic Ocean and Mediterranean Sea play a very important role in the ripening of the fruit, and even the breezes blowing from them contribute to the differences between Spanish wines. The wine culture in Spain generated its own form of tourism, which takes oenophiles to wineries and vineyards to taste the best Spanish wines and learn more about them. It's a pleasure for all the senses: taste and smell are delighted by the delicate flavors and aromas of the wine, while the idyllic landscape of the vineyards are a feast for the eyes. Wine has been so important in Spain throughout the centuries, primarily serving as a strong economic engine, that getting to know the Spanish wines through this type of tourism provides a very special insight and understanding of the Spanish culture. Spending a whole summer in Spain traveling around the different wines regions is a nice way of familiarizing yourself with Spain's geography. Tourism is one of the main economic motors in Spain. The great climate and the multiple beaches attract millions of people all year round, but especially in summer. Whether you're coming to learn Spanish in Spain, drink spectacular wines and eat the amazing Spanish cuisine, or just to learn more about Spanish culture and traditions, you'll find a place for you in this varied country. Nowadays, not only is wine in Spain a great industry, but wine tourism too isbecoming ever more popular with locals and foreigner alike. Nearly 3 million acres in Spain are used to plant grapes for the production of Spanish wine. This makes it the country with the largest surface percentage dedicated to wine cultivation, even though it's only the third world producer (after France and Italy). Spanish wines are a big part of the total production in Spain, generating around 5000 million euros per year. Spanish wine is highly valued among international wine connoisseurs for its almost infinite variations and excellent quality. For a long time, Spanish wine has been shadowed by the more popular French and Italian wines, but in the last years there has been a definite growth in the exportation of this drink, especially to the US, the UK and Germany: During the first two months of 2011, there was a 40% increase in the volume of exportations, which is a clear marker of the growing popularity of Spanish wines. The history of Spanish wines is long and complex. 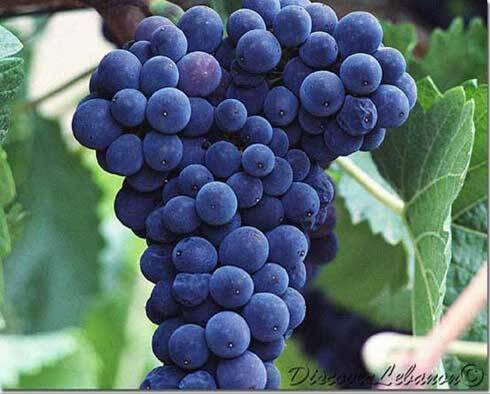 Every civilization that arrived in the Peninsula affected in some way the production of Spanish wines. From the Phoenicians and the Romans centuries ago, to the French that arrived after their vineyards were devastated by the phylloxera bug, each culture has helped to shape what today are known as some of the best wines in the worlds. There's so much more to learn about Spanish wines in our section on Spanish wine history!